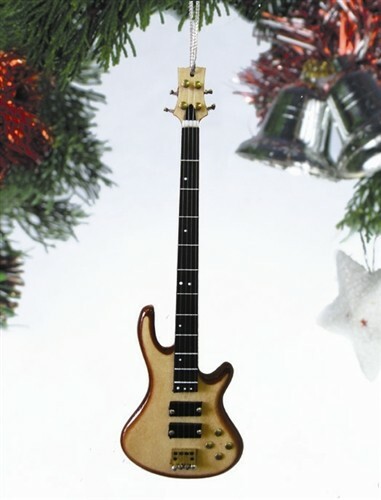 Christmas Ornament – Bass – Brighten up your Christmas tree with this stunning bass guitar Christmas ornament. Great holiday gift idea for the bass player in your life! Decorate that Christmas tree in musical style. Made from Wood. Approx. 5″. Music Ornaments for Bass Players!